Yuri Borisov floated the idea during the MAKS-2017 airshow on Tuesday. 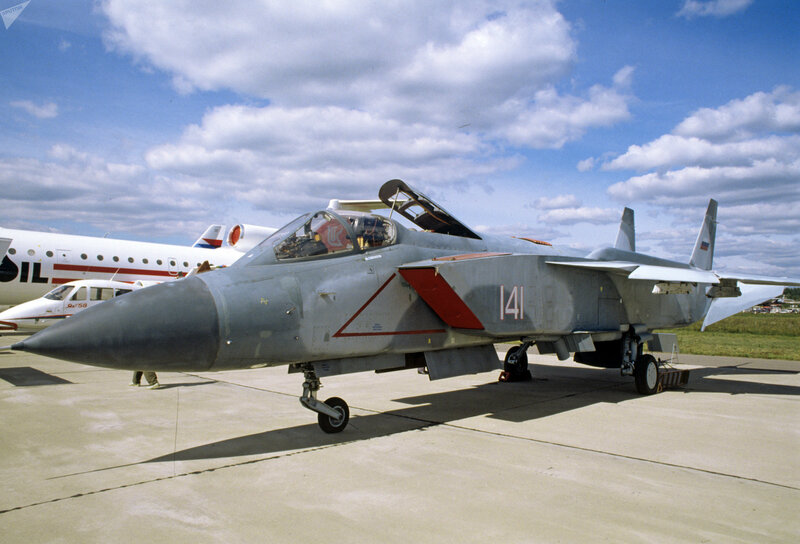 “The Defense Ministry is considering the development of a shipboard plane, possibly a vertical takeoff fighter,” Borisov said. The Project 2300 Shtorm heavy aircraft-carrying cruiser, whose scaled-down model was unveiled to the public in 2015, will carry a full complement of onboard aircraft, air defenses, cruise missiles and other weapons to engage targets on the high seas. The new carrier’s deck will be the size of three football fields and be able to house 4,000 crew members. 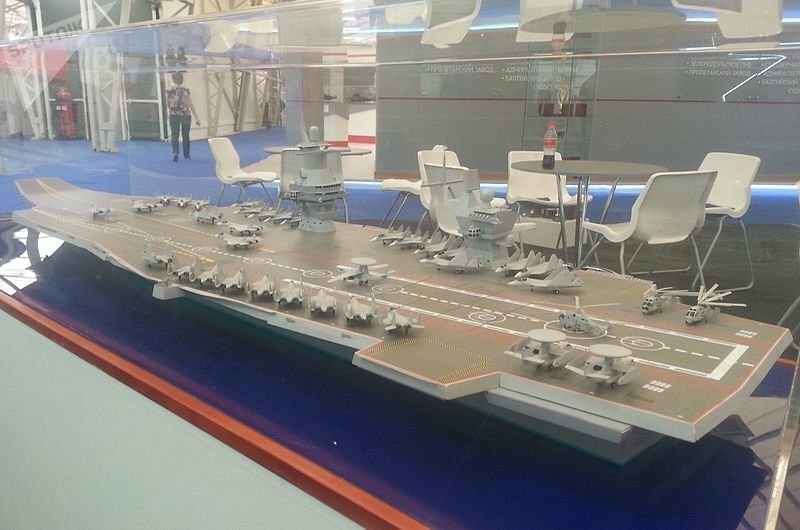 According to available information, the 330-meter long Shtorm would be a revival of the Soviet-era supercarrier Ulyanovsk, with a 100,000-ton displacement and enough storage to carry an air group of up to 90 fixed and rotary wing aircraft. The Shtorm will have an endurance of up to 120 days and a maximum speed of 30 knots. Like the Ulyanovsk, the new aircraft carrier will carry STOVL aircraft similar in concept to the Yakovlev Yak-41 supersonic vertical takeoff/landing multirole fighter that was cancelled in August 1991 shortly before the 1992 breakup of the Soviet Union. In another forte, the carrier will be able to operate in Arctic waters and will have takeoff-facilitating electromagnetic catapults. The Defense Ministry is also considering arming the Shtorm with a battery of hypersonic Zirkon missiles. 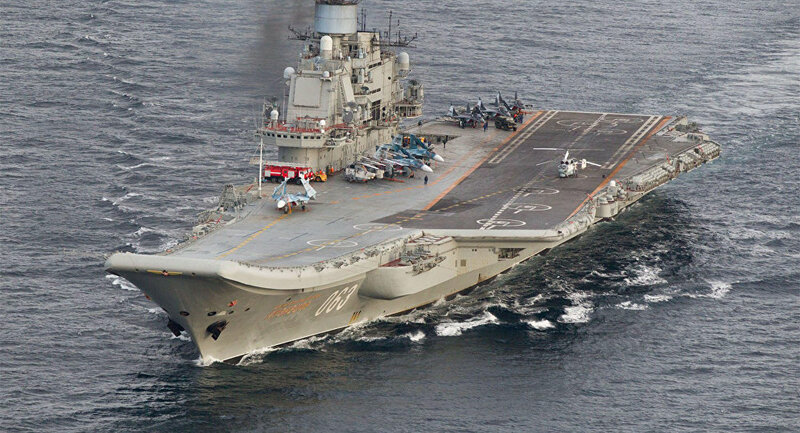 The Russian Navy currently relies on the Admiral Kuznetsov carrier, launched in 1985. However, its capabilities pale in comparison to the Shtorm craft.